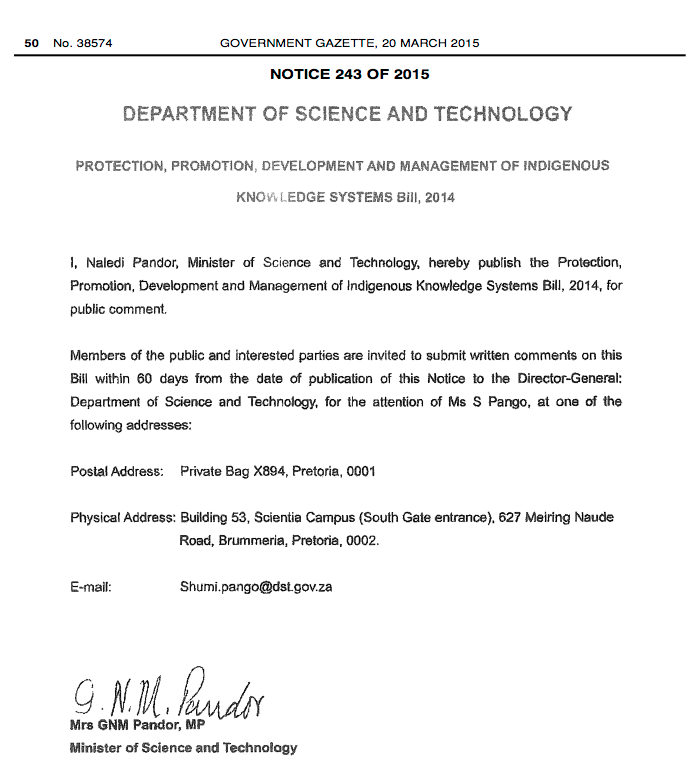 At the end of March 2015 the Draft Protection, Promotion, Development and Management of Indigenous Knowledge Systems Bill was published in Government Gazette 38574. 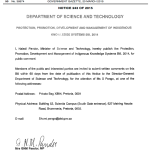 Written comments on the draft bill by members of the public and interested parties may be submitted to the Department of Science and Technology until 19 May 2015. The IP Unit intends to submit its comments before the deadline on 19 May 2015.
the facilitation and coordination of indigenous knowledge systems-based innovation. ensure respect for cultural norms and practices. Ss 23 et seq. contain access-enabling exceptions and limitations as well as provisions dealing with infringement and penalties.